Stop seal leaks in engines. 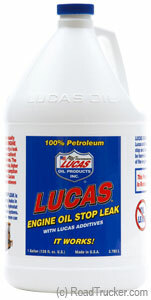 Excellent for worn and older engines to reduce engine noise and oil usage, as well as raising oil pressure. Compatible with petroleum, synthetic and semi-synthetic motor oils.